I‘m having a problem zeroing a submersible pressure sensor. Before placing it in the water, the zero offset is trimmed on the indicator, and then it is submerged to full range depth of 10 metres. During the first few minutes we notice that the full scale reading drifts by about 10mm in the negative direction and then stabilizes after a few minutes. We then pull the sensor up to the surface and it reads about -8mm. Do you know what might be causing the zero to drift? It is most likely due to the difference between air and water temperature. Before placing the sensor in the water it will be at ambient air temperature. Once submerged the temperature of the sensor will change until it reaches equilibrium with the surrounding water temperature. If the sensor is then removed from the water, it will still be at water temperature for a short period of time before it gradually reaches equilibrium again with the air temperature. 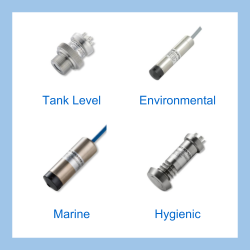 All pressure sensors are affected by changes in temperature, and the amount of error will vary depending on the sensor type and specification. For example if the outside air temperature is +26degC and the water temperature is +6 degC, the sensor will experience a 20degC change in temperature. If the sensor varies by 8mm between these two temperatures, this would indicate an error of 8/10000 x 100% = 0.08% FS, or 0.004% FS/degC, which is not an unusual temperature error for a pressure sensor. You should be able to eliminate this drift problem if you dip the sensor in the water first to allow it to reach equilibrium with the water temperature, and then adjust the zero reading as soon as the sensor is removed form the water. 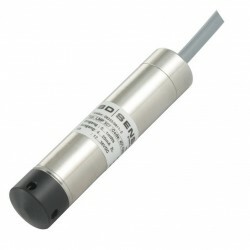 Send us your enquiry for a product associated with this Problem with zero drift when installing submersible pressure sensor page, and get assistance with selecting a product for your application.